Hi everyone! 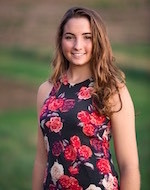 My name is Allie and I am a third year biomedical engineering student at Georgia Institute of Technology. Following graduation, I hope to attend veterinary school and I cannot wait to pair my passions for travel, animals, and service through VAW! Hey Guys! My name is Ashley Johnson and I am a freshman at Cornell University. I am currently an Animal Science major on the pre-veterinary track. 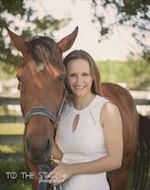 I have interned and worked with companion animal veterinarians, but look to expand my horizons. I am interested in becoming a large animal veterinarian, but secretly dogs and cats will always have my heart! I hope to stay in chilly Ithaca for the next 7 years to attend Cornell University College of Veterinary Medicine. I enjoy giving back to my community in anyway possible, but especially enjoy service when it involves something I love. 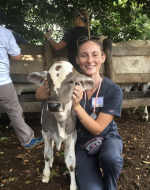 I cannot wait for this journey and to begin the Volunteers Around the World Veterinary Outreach chapter on Cornell’s campus! Hey everyone! 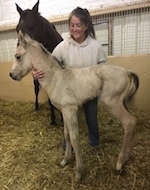 I’m Chloe Bellerive, a junior at University of Kentucky majoring in Equine Science and Management on the Pre-Veterinary track and minoring in Animal Science. I am super excited to start a VAW Veterinary Outreach Chapter on UK’s campus this year. After graduating from UK, I plan to attend Veterinary School to obtain my Doctor of Veterinary Medicine to become an Equine Surgeon. 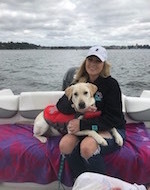 I am currently an animal science major, in my junior year, at Washington State University. I plan on going to veterinarian school after I graduate with my bachelors and want to work with both large and small animals. I’ve had numerous animals my entire life and they have always been my passion. I work as a veterinarian assistant at a pet hospital. I’m Emily, a sophomore at the University of Arizona. I am very excited to be the first team leader at U of A, and can’t wait to see it grow. One of my biggest passions is traveling around the world and experiencing new cultures. After undergrad I hope to attend veterinary school, and to one day open up a non-profit dedicated to improving animal & human health worldwide. In my free time I compete in rodeo and work at Rillito Racetrack as a horse exerciser. On my breaks I volunteer at various animal shelters and veterinary clinics. Hi everyone! 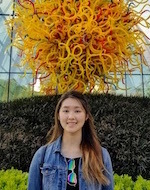 My name is Kathleen Yang and I am currently a junior majoring in Integrative Biology while minoring in Animal Sciences. I plan to, hopefully, attend veterinary school after I earn my bachelor of science. I am excited to be the first veterinary team leader at UIUC and look forward to seeing the chapter grow over the remaining two years I have here. I believe that this program will truly make a difference in the lives of animals and people here on campus and abroad in Peru. Hi! 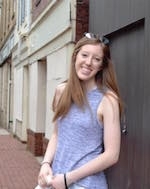 My name is Katie Reilly and I am a sophomore at Villanova University. I’m majoring in Biology and minoring in Spanish. I am excited to start a VAW Veterinary Outreach Chapter at Villanova and I can’t wait to see how the program grows in the future! Hi Everyone! My name is Lauren Banales. I am a second year at Cal Poly Pomona majoring in Animal Science, Pre-Vet track. I hope to attend Veterinary School following my undergraduate, and open my own small animal practice and agility training for dogs. I’m super excited to bring VAW to Cal Poly Pomona, and can’t wait to see what the future holds. Howdy! My name is Lisa and I’m a Junior Biomedical Science major with a minor in Public Health and certificate in Public Health Entomology. Im from Kerrville, Tx and have worked at Kerrville Veterinary Clinic for 2 years during school breaks. I plan to go to veterinary school and possibly specialize in feline medicine! I love spending time with my family and friends and of course my three cats and seven month old puppy! I’m so excited to get this branch started at Texas A&M and can’t wait to watch it grow! Hi there! My name is Madi Purdy-Hein, I am a Microbiology major at Brigham Young University. Growing up in Iowa City, around plenty of farms, I developed my love for animals. I have enjoyed every opportunity to work with animals since then. I intend on going to veterinarian school and I hope to work with rescued exotic animals once I have my degree. I am excited to establish a Veterinarian Branch of VAW. There is a lot of great work that needs to be done, a Pre-Vet VAW branch will make a huge difference. Hi everybody! 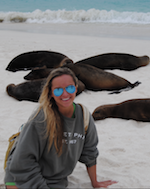 My name is Megan Watkins and I am a junior biological sciences major at Mississippi State University. I am so excited to be the first team leader for the VAW veterinary outreach chapter at MSU! 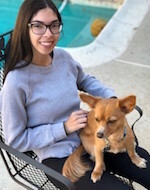 My passion for veterinary medicine has only grown over the years while working at an animal hospital, and I plan on going to veterinary school after graduation. Hi! 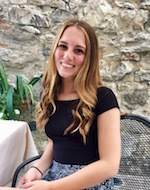 My name is Nicole DeRogatis and I’m a sophomore at Villanova University. I’m pursuing a Biology major and an Italian minor and I plan on going to veterinary school following graduation. Hi Everyone! 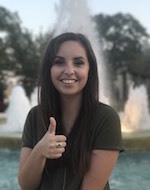 My name is Nikki Everhart and I am currently attending Tarleton State University for my Bachelors of Animal Science in Pre-Veterinary Medicine. I already have an associates of Science in Equine Science and am planning on continuing my education to get my doctorates after I graduate. Animals have always been my passion and I am excited for this new journey with Volunteers Around the World Veterinary Outreach. Hello, My name is Sydney Sweet and I am a second year at The Ohio State University. I am an animal science major with a specialization in biological sciences, and I am a hunter-jumper horse rider in my free time. I hope to attend vet school when I am done with undergrad. I would love to work with large production animals such as cattle, pigs and sheep.